This was a period of retrenchment for cricket in Cambridge, where the demise of the Cambridge Cricket Club was followed by the efforts of local pub clubs to re-establish the game by playing the CCC’s old opponents, new opponents like Chatteris and March, and eventually ambitious opponents like Swaffham and Islington Albion. By 1837 the pub clubs had done their job and the Cambridge town club was about to be formed. This period also saw the first Cambridgeshire county sides in 1832 and 1834. Items in red are recent additions. Mon./Tues. 20th/21st May. University ground Cambridge, Cambridge University (CU) v Cambridge Cricket Club (CCC). CU 132 (Cookesly 30, Nevill 29, Hume 23, H.Page 3+wkts) & 78 for 3wkts(Hume 44*); CCC 74 (H.Page 21, Medlicott 17*, Scott 17, Nevill 4wkts, Rocke 4wkts) & 134(J.Page 25, H.Page 24, Boning 17). CU won by 7 wkts. CIP 25th May p3 & C Ch 24th May p 3 & CU CC Matchbook 1820-23. 15th June. Cambridge, Junior Club challenged 11 gentlemen of one family who challenged the Town of Cambridge last summer for five guineas. CIP 15th June p 3. Thurs. 20th June. Cambridge, “select” association v Ickleton. Cambridge 22 (Ellis 3+wkts) & 124 (Davis 65, Ripsher 4+wkts); Ickleton 68 (Chambers 21, Willmott 4+ wkts) & 100 (J. Gosling 25, H. Beckett 19, Willmott 3+ wkts). Ickleton won by 20 runs. CIP 29th June p 2. Tues. 23rd July. Parker’s Piece Cambridge, Cambridge Fountain Club (Fountain) v Cambridge Castle Club (Castle). Fountain 36 & 50; Castle 84 & 68. Castle won by 56 runs. CIP 27th July p 2. 23rd-29th June. Soham. Club XI v 22 of Town. Club 28 & 52; Town 54 & 29 for 5 wkts. Town won by 16 wkts. 2nd match. Soham, Club XI v Town equal-handed. Club 67; Town 82. town won by 15 runs. Annals of sporting vol 2 p 118 July; B&NP 3rd July 1822. Thurs./Fri. 8th/9th Aug. Parker’s Piece Cambridge, Castle v Cambridge Union Club/Common Club (Union). Castle 54 & 114 + 10 byes; Union 97 & 45 +27 byes. Castle won by 9 runs. CIP 10th Aug p 2. Mon. 26th Aug. Vine Fields, Bury St. Edmunds. Bury St Edmunds CC v Newmarket CC. Newmarket 49 & 81; Bury 120 & 11 for 1 wkt. Bury won by 9wkts. C Ch, 30th Aug. 1822, p . CIP 31st Aug. p 3. Mon. 9th Sept. Newmarket CC v Bury St Edmunds CC return. Newmarket 57 & 95; Bury 73 & 80 for 4 wkts. Bury won by 6wkts. CIP 14th Sept. 1822, p 3. Wed. 11th Sept. Cambridge, “Gentlemen of” Cambridge v “Gentlemen of” Fulbourn. Cambridge 70 & 63; Fulbourn 27 & 51. Cambridge won by 55 runs. CIP 14th Sept p 2. Tues. 17th Sept. Thorney CC v Peterborough CC. One side 18 & 19; 0ther side 59. The latter won by an innings and 22 runs. CIP, 21st Sept. 1822, p 3. Tues. 24th Sept. Peterborough CC v Thorney CC return. Peterborough won by 15 runs. CIP, 28th Sept. p 3. Fri. 30th May. Abington Feast, Bournbridge. Little Abington, Single v Married. Single won by 34 runs. C Ch, 6th June 1823, p 2. June. Cambridge, “Some youths of” Cambridge v Fulbourn. Fulbourn won. CIP 21st June p 2. Mon. 16th June. Lord’s, “the Cambridge Club” v Gentlemen Cadets at Woolwich. Cambridge 51 & 124; Woolwich 86 & 82. Cambridge won by 7 runs. Bell’s Life 20th June p 584. Mon. 7th July. Parker’s Piece Cambridge, Union v Fountain. Union won by 10wkts. CIP 12th July p 2. 21st July. Parker’s Piece Cambridge, Union v Fountain return. Union won by an innings & 13 runs. CIP 26th July p 3. Wed. 30th July & 6th Aug. Bottisham v Fulbourn & return. Fulbourn won both matches. CIP 9th Aug. 1823 p 2. Thurs./Fri. 14th/15th Aug. Newmarket, Newmarket v Bury. Newmarket 97 & 99; Bury 93 & 87). Newmarket won by 16 runs. C I P, 23rd Aug. 1823, p 2. Mon./Tues. 22nd/23rd Sept. Parker’s Piece, Cambridge, Bury St Edmunds v Biggleswade. The latter objected “to the bowling of a young man in the Bury club named [Fuller] Pilch, on the ground of not knowing who he was, and that he was not a regular member of the club.” CIP 27th Sept, C Ch 26th p 2/?. Wed. 7th July. Cambridge, CU (“principally of King’s College”) v “Junior cricketers of the Town”. CU won by 9 runs. CIP 10th July p 2. Tues. 20th July. Fulbourn v Cambridge Greyhound (Greyhound). Fulbourn 32 & 60; Greyhound 48 & 38. Fulbourn won by 6 runs. CIP, 24th July p 3. Wed. 21st July. Walden Common, Saffron Walden v Union. Walden 86 (Brand 18, Hills 20, Sessums 4+wkts, Emmerson 3+wkts) & 209 (C Spicer 59, Glenister 48*, Redhead 28); Union 72 (Sessums 24, Austin 21W. Spicer 3+wkts) & 41. Walden won by 180 runs. CIP 24th July p 3. Wed. 21st July. Whittlesea, March v Peterborough. March 24 & 36 (Chadwell 5+wkts); Peterborough 32 & 79. Peterborough won by 51 runs. “The concourse of spectators was immense.” The Whittlesea Band played “well selected tunes.” After-match dinner at Pack Horse Inn. C I P, 24th July 1824, p 3. Aug. Parker’s Piece Cambridge, Greyhound v Fulbourn return. Fulbourn won by 5wkts. CIP 7th Aug, CIP 24th July p 3. Mon. 9th Aug. Midsummer Common Cambridge, Union v Saffron Walden. Union 61 (Sussom 21, W. Spicer 5 wkts) & 60 (W. Spicer 3+wkts); Walden 79 (C. Spicer 34, Sussum 4+wkts) & 15. Union won by 27 runs. “Considerable sums changed hands, as any odds were freely laid upon the Walden…an experienced Cambridge Cricketer absolutely betted 50 to 1, three times over!! !” Cambridge “unexpectedly changed their tactics.” CIP 14th Aug p 2. 25th Sept. Eye v Thorney. Thorney won. C I P 25th Sept. 1824, p 3. Fri/Sat. 29th/30th April. University Ground Cambridge, CU v Bury St Edmonds (“educated at Bury grammar school”). CU 86 & 104; Bury 52 & 111. CU won by 27 runs. CIP 7th May p 2. Mon. 2nd May. Bury St Edmonds v CU return. Bury 61 & 57; CU 75 & 44 for 4. CU won by 6 wkts. CIP, 7th May p 2. Tues. 3rd May. 3 of CU v 3 Bury St Edmonds School, single wicket. CU 5 & 17; Bury 5 & 25. CU won by 2 runs. C Ch 6th May, p .
Mon. 23rd May. Probably University ground, Cambridge, CU v CCC. CU 126 (Romilly 40, Smith 27, Dolphin 20, Boning 3+wkts) & 105 (Onslow 26, Boning 3+wkts); CCC 57 (M Page 20*, Jenner 5+wkts) & 65 (Smith 6+wkts). CU won by 109 runs. “We regret to observe that the manly game of cricket, in which our townsmen were once skilled, is fast becoming into disuse or disrepute among them.” Haygarth, Vol I, CIP 28th May p 511/2. Tues. 24th May. Robert Baker broke his leg in slipping when playing cricket on Parker’s Piece. C Ch, 27th May, 1825, p .
Fri. 17th June. Bishop’s Stortford, Bishop’s Stortford v Royston. Royston won by 2wkts. C I P, 25th June 1825, p 2. Fri. 1st July. Saffron Walden Common, Saffron Walden v Fulbourn. Walden 107 & 179; Fulbourn 43 & 28 for 5wkts. Fulbourn gave up the match. C Ch, 8th July 1825, p 4. Fri. 8th July. Royston Heath, Royston v Bishop’s Stortford return. Royston 73 & 44; Bishop’s Stortford 51 & 41. Royston won by 18 runs. C I P, 23rd July 1825, p 2. Fri.15th July. Newmarket, Newmarket v Bury St Edmunds. Newmarket 54 & 37; Bury 104. Bury won by an innings and 13 runs. Haygarth, Vol I p 518. Mon. 18th July. Walden Common, Saffron Walden v Castle. Walden 141 & 5 for 1 wkt; Castle 73 & 72. Walden won by 9 wkts. CIP 23rd July p 2; C Ch 29th July p 3. Tues. 19th July. Ramsey, Ramsey Cricket Club v March Cricket Club. Ramsey 26 & 22; March 84. March won by an innings and 36 runs. “We are happy to find that this manly and noble game, which has for some years been on the decline in the Fens of Huntingdonshire and Cambridgeshire, is beginning to revive…” C I P, 16th and 23rd July, 1825 p3/2. Cambridge, Union v Fountain. Result unknown. CIP 30th July p 2. Mon. 25th July. Parker’s Piece Cambridge, Fountain v Union return. Union won by an innings and 40 runs. CIP 30th July p 2. Wed. 27th July. “A cricket match was played at Newmarket between a phenomenon, weighing twenty two stone, of the name of Clark, and two good players named Wiseman and Gregory, The big one beat his protagonists in one innings, with six runs to spare. The match was for a couple of bottles black strap. The same parties will play again on Tuesday nest for a heavy stake – beef steak, we presume to eat with the wine.” Bell’s Life, 31st July, 1825, p 247. Tues. 9th Aug. March, March v Ramsey return. March 89; Ramsey 19 & 20. March won by 88 runs. C I P, 13th Aug. 1825, p 2. Thurs. 11th Aug. Biggleswade Common, Biggleswade v Union. Biggleswade 63 (Sutton 24, Sussums 7+wkts) & 61 (Sussums 4+wkts); Union 63 (Crouch 20, Sutton 3+wkts) & 63 (Austin 29, Sutton 4+wkts) for 9wkts. Union won by 1 wkt. CIP 13th Aug p 2. Mon. 22nd Aug. Midsummer Common Cambridge, Union v Biggleswade return. Union 46 & 37 (Sutton 5+wkts, Carrington 4+wkts); Biggleswade 23 (Sussum 5 wkts, Hall 3 wkts) & 36 (Sussum 3+wkts). Union won by 24 runs. “We regret to learn that some animosity prevails between the rival clubs in this town…some individuals endeavoured to throw obstacles in the way of the Cambridge players, for having seen them at play, gave information to the opposite party how to place their men. It is said, that were there unanimity among the numerous cricketers of this place that eleven players could be found superior to any that Cambridge ever boasted of.” Dinner at the Union Tavern. CIP 27th Aug p 2. Fri.26th Aug. Vine fields, Bury, Bury St Edmunds CC v Newmarket CC return. Bury 188; Newmarket 55 & 57. Bury won by an innings and 76 runs. C I P, 3rd Sept. 1825, p 2.Haygarth, Vol 1 p529. Tues. 30th Aug. Parker’s Piece Cambridge, CCC Single v Married. Single won by 68 runs. CIP 3rd Sept p 2. Tues/Wed. 6th/7th Sept. Parker’s Piece Cambridge, Castle v Saffron Walden return. Castle 60 & 68; Walden 150. Walden won by an innings and 22 runs. CIP 10th Sept p 2. Sept. Bottisham, “Some of the members of the Fulbourn Cricket Club have emerged from the dark cloud that has obscured them…since the Walden match…[and played] a single wicket game.” C I P, 10th Sept 1825, p 2. 12th Sept. Bury St Edmunds v Nottingham for £100. Fri.16th Sept. March, March CC v Thorney CC. March 63 & 67(66); Thorney 14 & 24. March won by 92(91) runs. C I P, 24th Sept. 1825, p 3. Tues. 27th Sept. Thorney CC v March CC return. Notice only. C I P, 23rd Sept. 1825, p .
Wed. 10th May. Bury St Edmunds v CU. Bury 86 & 71; CU 31 & 209 for 8 wkts. Unfinished. Haygarth Vol I p535/6. Wed. 17th May. Probably University ground, Cambridge, CCC v CU. CU 90 (C. Chapman 47*, G. Barnard 21, Edwards 3+wkts, H.Page 3+wkts) & 160 (Jenner 51, Barnard 50, Chapman 21, Edwards 3+wkts, Swan 3+wkts); CCC 66 (Jenner 4+wkts) & 89 (Davis 28, M. Page 21, Jenner 4+wkts). CU won by 95 runs. Haygarth Vol 1, C Ch 19th May p 537/3. Mon. 10th July. Royston Heath, Royston v Cambridge Junior Club. Royston won by 101 runs. C Ch 14th July p 3. Thurs. 20th July. Parker’s Piece, Cambridge Junior Club v Royston return. Cambridge 98 (Eaden 30, Phillips 3+wkts, Beldam 4+wkts) & 216 (Metcalfe 49*, Johnson 49, Davies 31, Wonfor 24, Eaden 22); Royston 59 (Wonfor 3+wkts, Eaden 3+wkts) & 35 for 3 wkts. Royston gave up the match. CIP 29th July p 2. Mon. 31st July. Cambridge, Married v Single. Married 84 & 148; Single 185 & 50 for 7 wkts. Single won by 3 wkts. CIP 5th Aug p 2. Mon. 31st July. March, March CC v Walton & Walsoken return. W & W 15& 53; March 52 & 17 for 2 wkts. March won by 8 wkts. C I P, 5th Aug. p 2. Tues. 15th Aug. Huntingdon v March for £100 “as soon as the harvest is finished”. Abandoned because the March players did not turn up. Fri 18th Aug. Bury St Edmunds, Bury v Newmarket/CCC/Saffron Walden for £50. Bury 150 (Pilch 82*, Gardiner 4+wkts) & 72 for 3 wkts (Pilch 31*); N/C/S 50(Pilch 3+wkts, King 3+wkts). N/C/S gave up the match. “Pilch… sent the ball where he thought proper.” Haygarth Vol I p 551; CIP 26th Aug p 2; B & NP 23rd Aug. p 2. Tues. 22nd Aug. March, March v Downham Market. Downham 75& 34; March 55& 87. March won by 33 runs. C I P, 26th Aug. 1826, p 2. Wed. 23rd Aug. Ickleton v Duxford. Ickleton 78 & 115; Duxford 30 & 84. Ickleton won by 79 runs. C I P, 2nd Sept. 1826, p 2. Wed. 30th Aug. Downham Market, Downham v March return. Downham 57 & 71 ; March 49 & 41. Downham won by 38 runs. C I P, 2nd Sept. 1826, p 2. Tues. 5th Sept. Midsummer Common Cambridge, Union v Saffron Walden for “50 sovereigns”. Union 59 (Adams 5+wkts) & 43 (Adams 3+wkts, Redhead 3+wkts); Walden 79 (Glenister 29, Sussums4+wkts) & 24 for 0wkts. Walden won by 10 wkts. CIP 9th Sept p 2. Fri/Sat. 8th/ 9th Sept. Newmarket, CCC/Newmarket/ Saffron Walden v Bury St Edmunds return. C/N/S 18 (King 4+wkts, Pilch 4+wkts) & 38(King 3+wkts, Pilch 4+wkts); Bury 128 (Pilch 48, Wright 20, Redhead 4+wkts). Bury won by an innings & 72runs. Haygarth Vol I p 554. Mon. 11th Sept. Parker’s Piece Cambridge, Mr Johnson’s School v Mr Barber’s School. Deciding match (?). Johnson 63 & 40 (Pryor 19*); Barber 74 & 28. CIP 16th Sept p 2; Annals of Sporting Vol 10 p 235. Tues/Wed. 12th/13th Sept. Walden Common, Saffron Walden v Union return. Walden 110 (Horton 30*, Gatward 22, Sussums 3+wkts) & 172 (Salmon 85*, Willings 27, Weatherby 22, Sussums 5+wkts); Union 162 (Emmerson 46, Bullock 36, Lawrence 21, Adams 3+wkts) & 62 (Redhead 5+wkts). Walden won by 58 runs. CIP 16th Sept p 2. Sept. Duxford v Ickleton return. Duxford 35 & 40; Ickleton 22 & 34. Duxford won by 19 runs. C I P, 23rd Sept. 1826, p 3. Mon 18th Sept. Downham Market v March deciding match. Notice only. C Ch, 15th Sept. 1826, p .
Wed. 4th Oct. Parker’s Piece Cambridge, CU v Union. CU 88 (C Wordsworth 38, Sussums 4+wkts) & 53 (C Wordsworth 28, Turner 3+wkts); Union 59 (Wordsworth 6+wkts) & 107(Sussums 34, Hall 30*). Union won by 25 runs. C Ch 6th Oct p 3. Thurs. 5th Oct. Bourn Meadow, Bourn v Long Stowe. Long Stowe won by 6 wkts. C Ch 13th Oct. p 3. Thurs. 17th May. University Ground Cambridge, CU v Bury St Edmonds. CU 35 & 46; Bury 86. Bury won by an innings and 5 runs. CIP 19th May p 2. Fri. 18th May. Bury St Edmonds v CU, with Sparks. Bury 15 &20; CU 37. CU won by an innings and 2 runs. Haygarth, Vol II p 2/3. C Ch 25th May 1827 p .
Wed. 23rd May. University Ground Cambridge, CU v Union. CU 138 (Chapman 26, Jenner 23, Templeton 21, Bullock 3+wkts, Edwards 3+wkts); Union 47 (Chapman 5+wkts) & 59. CU won by 32 runs. CIP 19th May p 2; Haygarth, Vol.II p 4. Tues. 29th May. Parker’s Piece Cambridge, Union v CU return. Union 53 & 136; CU 22 & 38. Union won by 129 runs. No team details. CIP 2nd June p 2. Mon./Tues. 4th/5th June. Lord’s, Oxford University (OU) v CU. OU 258; CU 92. Match drawn. ACSH, 1820-29 p 65. Mon. 18th June. March, March v Cambridge Hoop “and Union Club” (Hoop). March 67 (Massey 21, Davis 4+wkts) & 50 (Lilley 3+wkts); Hoop 33 (White 3+wkts) & 59 (Matthews 3+wkts). March won by 25 runs. C Ch 22nd June p 3. Fri. 29th June. R Glasscock 39* for Downham Market v Upwell. Downham 62 & 60 for 5 wkts; Upwell 43 & 78. Downham Mkt won by 5 wkts. Bell’s Life, 6th July p . C Ch, 6th July 1827 p 2. B&NP 4th July 1827. Thurs. 12th July. Cambridge, CU v Union. CU 99 & 49; Union 65 & 84 for 7wkts. Union won by 3 wkts. CIP 14th July p 2 & 21st July p 2. Thurs 12th July. Royston Heath, Royston v Hoddesdon & Broxbourne. Royston 105 & 14 for 1wkt; H & B 55& 63. Royston won by 9 wkts. C I P, 21st July 1827, p 2. Thurs.12th July. Manea, Manea v Ramsey. Manea 53 & 28; Ramsey 51 & 33 for 8 wkts. Ramsey won by 2 wkts. C I P 28th July 1827, p 3. Mon. 16th July. Parker’s Piece Cambridge, Hoop v March return. Hoop 55 (Page 21, White 5+wkts) & 121 (Davis 24, Page 33); March 80 (E. Matthews 21) & 95 (Massey 32, T. Matthews 22*, Watts 3+ wkts). Hoop won by 1 run. “EXTRAORDINARY MATCH AT CAMBRIDGE.” CIP 21st July p 2. Tues/Wed. 24th/25th July. Saffron Walden, Saffron Walden (with Pennefather of Herts) v Union. Walden 60 (Sussums 5+wkts) & 94 (Weatherby 29, Salmon 27, Sussums 3+wkts); Union 87 (Redhead 3+wkts) & 64 (Adams 3+wkts). Walden won by 3 runs. An appeal by the Union against the Walden umpire giving Weatherby not run out on the grounds that a fieldsman called out before appealing to him was later decided in the Union’s favour. CIP 28th July & 4th Aug p 2. July/Aug. St Ives, Hoop v March deciding match ¨C notice only. Bell’s Life 27th July. Mon. 23rd July. March. Single wicket. 4 gentlemen of March Town v 4 gentlemen of March Fen. Town 6 & 1; Fen20. Fen by an innings and 13 runs. For 10 sovereigns. C I P 28th July p 2. Thurs 26th July. Ramsey, Ramsey v Manea return. Ramsey 33 & 36; Manea 33 & 29. Ramsey won by 7 runs. C I P, 11th Aug. 1827, p 3. Mon. 30th July. Parker’s Piece Cambridge, Union v Saffron Walden return. The Union disputed a decision by the Walden umpire and refused to continue the game. CIP 4th Aug p 2; C Ch 3rd Aug p 2. Aug. Chatteris v March. March 56 & 56; Chatteris 15 & 21. March won by 76 runs. C Ch, 17th Aug. 1827, p 3. Wed. 22nd Aug. Cambridge, Hoop v Fountain. Fountain 141(F. Fenner 34) & 96; Hoop 148 & 90 for 6 wkts. Hoop won by 4 wkts. CIP 25th Aug p 2. Thurs. 23rd Aug. Chatteris, Chatteris v Ramsey return. Chatteris 23&54; Ramsey 38 & 35. Chatteris won by 4 runs. C I P, 25th Aug. 1827, p 2. Mon. 27th Aug. Royston Heath, Royston CC v Biggleswade CC. Royston 59 & 61; Biggleswade 69 & 52 for 4 wkts. Biggleswade won by 6 wkts. C I P, 1st Sept. 1827, p 3. 1st Sept. “New cricket club at March to be established – have engaged Robert Glasscock to teach them.” Glasscock recently scored 78* for Lynn, allowing only one ball to go past him. C I P 1st Sept. p 2. Mon/Tues. 10th/11th Sept. Biggleswade CC v Royston CC return. Biggleswade 29 & 74; Royston 120. Royston won by an innings and 17 runs. C I P, 15th Sept. 1827, p 2. Wed. 5th Sept. March Griffin Club v George Old Club. George won by 9 wkts. C I P, 8th Sept. 1827, p 3. Tues. 11th Sept. Chatteris v Huntingdon. Chatteris 32 & 25; Huntingdon 13 & 32. Chatteris won by 12 runs. C I P, 8th Sept. 1827, p ? Mon. 17th Sept. Linton, Linton CC v Linton town. Club won by 8 runs. C I P, 22nd Sept. 1827, p 3. Mon. 17th Sept. March, George Club v Griffin Club return. George won. C I P, 22nd Sept. 1827, p 3. Thurs. 20th Sept. March v Chatteris return. March won. C I P, 22nd Sept. 1827, p 3. 28th Sept. the Lammas part of the Horse Common, Huntingdon v Chatteris. Huntingdon 30 & 38; Chatteris 117. Chatteris won by 49 runs. C I P 29th Sept. 1827, p 3. Mon. 1st Oct. Manea, single wicket, Mr W. Clarke & Mr. J. Fox of Manea v Messrs J. & W Newsham of Wisbech St Mary’s for £2 a side.. Terms of match disputed. J. Newsham (one-handed) played W. Clarke. Newsham knocked down his wicket for 6 runs & retired for 23 runs. Clarke 0 & 0. Newsham won by 29 runs. C Ch, 5th Oct. 1827, p 3. Wed. 10th Oct. Chatteris CC dinner. 30 to 40 members at dinner provided by Thomas Fryer Esq. C I P, 13th Oct. p 2. Colleges – King’s College lost to Eton. Mon/Tues. 12th/13th May. University Ground Cambridge, CU v Union. CU 84 (Sanders 24, Jenner 20, Stearn 4+wkts) & 123 (Pickering 44*, Horsman 23, Sussums 3+wkts, Stearn 3+wkts); Union 87 (Austin 24, Pickering 5+wkts) & 110 (Austin 35, Stearn 20, Pickering 5+wkts). CU won by 10 runs. ACSH (a) p 76. “March Original Club” “open to play any club within 30 miles”. C I P, 31st May 1828, p 2. Tues 3rd June. March (“Imperial Club”) v Wisbech. C I P, 21st June 1828, p 2. Thurs 5th June. Hertford, Hertford v Royston. Hertford won by 101 runs. Bell’s Life 8th June p 4. Tues. 17th June. Lynn Rd, Wisbech, Wisbech v March return. Wisbech 100; March 23 & 33. Wisbech won by an innings & 44 runs. C I P, 21st June 1828, p 2. July. Linton, Crown v Town. Crown won by 6 wkts. C I P, 12th July 1828, p 2. Wed. 16th July. Cambridge, Castle v Chesterton. Castle won by an innings & 39 runs. CIP 19th July p 2. 20th July. Cambridge, Letter from the “SECRETARY TO THE HOOPS CRICKET CLUB” stating that Saffron Walden, having challenged any club within 30 miles, “childishly” refused the Hoop¡¯s acceptance on the grounds that one of the latter¡¯s players “belonged to the University.” The Hoop offer to play Walden for between 10 and 50 pounds and to play any club within 25 miles. Applications to Mr Bird at the Hoop Hotel. Bell’s Life 20th July p 3. Mon. 21st July. Biggleswade, Biggleswade v Hoop. Biggleswade 58 (Moss 23, Fenner 5+wkts) & 10 (Fenner 5+wkts); Hoop 43 (Stearn 26*, Sutton 4+wkts, Carrington 3+wkts) & 26 for 3 wkts. Hoop won by 7 wkts. CIP 25th July p 3. Thurs. 24th July. Ramsey v Thorney. Ramsey 24 & 68; Thorney 28 & 36. Ramsey won by 28 runs.C I P, 9th Aug. 1828, p 3. Thurs 31st July. Newmarket, Newmarket v Castle. Newmarket 30 & 56. Castle 26 & 50. Newmarket won by 10 runs. CIP 2nd Aug p 2. Mon/Tues. 4th/5th Aug. Parker’s Piece Cambridge, Hoop v Biggleswade return. Hoop 97 (Eaden 36, Scott 21) & 60 (Crouch 24, Crouch 3+wkts, Moss 3+wkts); Biggleswade 58 (Edwards 4+wkts) & 88 (Edwards 3+wkts). Hoop won by 11 runs. C Ch 8th Aug p 3. Fri 8th Aug. Hayward for Mitcham v Kennington. Bell’s Life 17th Aug p 4. Mon. 11th Aug. Parker’s Piece Cambridge, Castle v Newmarket Juniors return. Cambridge 45 & 96; Newmarket 36 & 58. Castle won by 47 runs. C Ch 15th Aug p 3. Wed. 13th Aug. March, March v Union. Cambridge 57 & 14 for 3 wkts; March 31 (Boning 5+ wkts) & 39 (Sussums 3 + wkts). Union won by 7 wkts. For 100 guineas. March stressed that Glasscock was not a given man, having lived in March for nearly 2 years. CIP 16th Aug p 3. Tues. 19th Aug. Parker’s Piece, Cambridge (mostly Castle) v CU. CU 39 & 27; Town 148 & 162. CU won by 244 runs. CIP 23rd Aug p 2. Wed. 20th Aug. Cambridge, CU v Castle return. CU 114 & 65; Castle 151 & 29 for 0 wkts. Castle won by 9 wkts. CIP 23rd Aug p 2. Cambridge. The Union accepted a challenge from the Isle of Ely to play a match with eleven of Cambridge for £50. CIP 23rd Aug p 2. Tues/Wed. 26th/27th Aug. Parker’s Piece Cambridge, Union v March return for £11. Union 105 (Boning 26, Edwards 22*, Sussums 20) & 199 (Stearne 53, Johnson 43*, Redhead 35); March 20 (Boning 4+wkts) & 38 (Sussums 3+wkts, Boning 5+wkts). Union won by 246 runs. March wanted to use 4 umpires, but the idea was not taken up. CIP 30th Aug p 2. Thurs. 4th Sept. Hayward for Aldgate Association v Saffron Walden. Proposal to get up a match between the Aldgate Association and Cambridge Hoop Club, “wherein Pilch, Matthews, King,[all of Bury] and other noted players are members.” No mention of the proposal in match report in C I P. Bell’s Life, 8th Sept. 1828, p 4; C I P 6th Sept. p 2. 8th Sept. Cambridge. Proposal to get up a match between the Aldgate Association and the Hoop, “wherein Pilch, Matthews, King [all of Bury] and other noted players are members.” Bell’s Life 8th Sept, CIP 6th Sept p 4/2. Tues. 9th Sept. Cambridge, Challenge by Union to take on a mixed eleven from March / Wisbech / Chatteris / Lynn etc. C Ch 29th Aug p 3. Tues. 9th Sept. Parker’s Piece. Christ’s College v Emmanuel College. Christ’s 53 and 72; Emmanuel 77 and 46. Christ’s won by 2 runs. Tues/Wed. 9th/10th Sept. Glasscock 50 for March v Wisbech. CIP 13th Sept p 2. Tues. 23rd Sept. Cambridge, Union v Town. Union 163 (Crouch 45, Boning 42, Edwards 5+wkts); Town 132 (Davis 59, Boning 4+wkts) & 61 for 4 wkts (Linton 21*). Match unfinished. CIP 27th Sept p 3. 28th Sept. Cambridge, “Messrs T Stearn J Boning and J Davies, stand open to play any three gentlemen (at cricket) of the Town and County of Cambridge and the Isle of Ely, for fifteens sovs…Apply to J Crouch, Sydney Street. The two gentlemen of Chesterford [challenge in Bell’s Life 21st Sept. p3] may be accommodated by two of the above.” King, Wright & Fenmence of Bury CC take up the challenge. Bell’s Life 28th Sept & 5th Oct p 4/3. Tues/Wed. 9th/10th Sept. March. March CC v Wisbech CC. March 65 & 117; Wisbech 79 & 14 for 7 wkts. Wisbech gave up the match. C I P, 13th Sept. 1828, p 2. Fri 12th Sept. Chatteris 2nd XI v Doddington. Chatteris 26 & 53; Doddington 33 & 40. Chatteris won by 6 runs. C I P, 20th Sept.
Mon/Tues. 15th/16th Sept. Royston Heath, Royston CC v Biggleswade CC. Royston 47 & 115; Biggleswade 52& 111 for 7 wkts. Biggleswade won by 3 wkts. C I P, 20th Sept. 1828, p 3. Mon. 22nd Sept. Ely, Single v Married. Single 48& 46; Married 88 & 7 for 0 wkts. Married won by 10 wkts. C Ch, 26th Sept 1828, p 3. Tues. 23rd Sept. Cambridge Union Club v Town eleven. Union 163; Town 132 & 61 for 4 wkts . Match unfinished. C I P, 27th Sept. 1828, p 3. Tues. 23rd Sept. Linton, Linton CC v Ashdon CC. Linton 38 & 69; Ashdon 44 & 26. Linton won by 37 runs. C I P, 27th Sept. 1828, p 3. “Messrs T. Stearn, J. Boning and J. Davies, stand open to play any three gentlemen (at cricket) of the Town and County of Cambridge and the Isle of Ely, for fifteens sovs. Home to home or one match, any time within a fortnight. Apply to J. Crouch, Sydney Street. The two gentlemen of Chesterford [challenge in Bell’s Life 21st Sept. p3] may be accommodated by two of the above.” Bell’s Life, 28th Sept. 1828, p 4. 28th Sept. Cambridge, Fenner and Hall, aged 17 & 18, of the Castle take up the Chesterford brothers’ challenge. Bell’s Life 28th Sept p 4. Fri. 3rd Oct. Ashdon, Ashdon CC v Linton CC return. Notice only. C I P, 27th Sept. 1828, p 3. 5th Oct. Letter from Messrs King, Wright and Fenmence of Bury CC agreeing to play Stearn, Boning and Davies “home for home or meet halfway.” Bell’s Life 5th Oct. 1828, p 3. Wed. 8th Oct. Chatteris CC dinner. Almost word for word as last year’s report. C I P, 11th Oct. p 2. Hayward played for Mitcham and Aldgate Association. Thurs. 28th/29th May. University Ground Cambridge, CU v Union. CU 77 (Sussums 3+wkts) & 252 (Pickering 72*, Dupuis 60, Chapman 51, Jenner 24, Boning 5+wkts); Union 140 (Davies 25, Emmerson 21, Pickering 3+wkts, Jenner 3+wkts) & 186 (Boning 65, Sussums 37, Emmerson 23*, Pickering 4+wkts). CU won by 3 runs. “..the indifference of the bowling on both sides accounts for the great number of notches scored.” C Ch 5th June p 3 & Haygarth Vol II p 73. Cambridge, Union challenged any team in the Isle of Ely home and home. CIP 13th June p 2. Fri./Sat. 5th/6th June. Magdalen Ground Oxford, OU v CU. OU 129 &158; CU 96 & 76. OU won by 115 runs. ACSH a p 94. Cambridge (?) match v Biggleswade/Royston/Hitchin at University Ground, “which has been handsomely granted”, cancelled having been postponed from 13th July, not being able to agree a date. C I P, 18th July 1829, p 2. Mon. 23rd June. St Ives, St Ives v March. St Ives 53(White 3+wkts) & 33; March 62(Smith 19, J.B. Ulph 7wkts, T. Ulph 3wkts) & 54(Glasscock 16, T. Ulph 6wkts, J.B. Ulph 3 wkts). March won by 30 runs. C I P, 27th June 1829, p 3. Mon. 13th July. University Ground Cambridge, Cambridge (? )v Biggleswade/Royston/Hitchin Postponed then cancelled, not being able to agree a date. CIP 18th July p 2. July. Market Deeping v Thorney, Market Deeping 29 & 31; Thorney 43 & 18 for 2 wkts. C I P, 25th July 1829, p 3. Fri./Sat. 24th/25th July. Biggleswade, Biggleswade v Chatteris. Chatteris 37(Sutton 4+wkts) & 40(Carrington 3+wkts, Sutton 3+wkts); Biggleswade 72(Sutton 29) & 37(Skeels 3+wkts). Biggleswade won by 32 runs. C I P, 1st Aug. 1829, p 3. Mon/Tues. 27th/28th July. Royston Heath, Royston CC (with Mr Wm Otway) v Saffron Walden CC. Royston 69 & 86; Walden 202 & 161. Saffron Walden won by 208 runs. C Ch, 31st July 1829, p 3. Fri 31st July. Ely, Ely v Mildenhall. Mildenhall 44(Gedge 21, J. Spencely 3+wkts) & 36(?) for 6 wkts (Hills 16, J. Spencely 4+ wkts); Ely 23(J. Archer 3+wkts) & 57Taylor 20, Godfrey 3+wktsJ. Archer 4+wkts). Mildenhall won by 4 wkts. C I P, 15th Aug. 1829, p 2. 1st Aug. Cambridge (?) challenged Bury (without non-resident members). CIP 1st Aug p 3. Mon. 3rd Aug. Cambridge, Castle v Potton return. Castle 76 & 72; Potton 39 &31. Castle won by an innings & 6 runs. CIP 15th Aug p 2. Mon. 3rd Aug. Mildenhall v Ely return. Ely 84(J. Spencely 39, J. Archer 4+wkts); Mildenhall 30(Freeman 3+wkts) & 14. Ely won by 40 runs. C I P, 15th Aug. 1829, p 2. Tues 4th Aug. Royston Heath, Royston Junior Club v Baldock. Notice only. C Ch, 31st July 1829, p 3. March open to play any team from the Isle of Ely. C I P, 1st Aug. 1829, p 2. Thurs 6th Aug. Chatteris, Chatteris v Biggleswade return. Chatteris 31(?) & 36; Biggleswade 67 & 2 for 1 wkt. Biggleswade won by 9 wkts. After-match dinner at White Hart Inn. C I P, 15th Aug. 1829, p 2. Mon/Tues/Thurs. 3rd/4th/13th Aug. Walden Common, Saffron Walden v Royston, with Mr Otway of the Welwyn Club return. Rain interrupted play. Walden 120(James Adams 77*, Otway 3+wkts) & 134(James Adams 60, George Adams 22, Gatward 19, Beldham 4+wkts); Royston 76 (Otway 45, J. Adams 4+wkts) & 72(Shepherd 23, Redhead 3+wkts, J. Adams 3+wkts). Walden won by 106 runs. C I P, 22nd Aug. 1829, p 3. Mon. 17th Aug. Parker’s Piece, Married v Single. Married 125 & 33 for 4 wkts; Single 122 & 143. Unfinished. After-match dinner at Hoop Inn. CIP 22nd Aug p 3. Tues/Wed. 25th/26th Aug. March, March v Cambridge Castle (Juniors). Cambridge 75 (Hill 20,T.Matthews 7+wkts) & 46 for 4 wkts (W Hall 24*); March 29 (W Hall 3+wkts) & 90 (Smith 28*, Fenner 3+wkts, W Hall 3+wkts). Cambridge won by 6 wkts. CIP 27th Aug p 2. Thurs. 27th Aug. Thorney, Thorney v Whittlesea, with 2 of March. Thorney 82(Dodman 44); Whittlesea 37(Johnson 3+wkts) & 16(Morris 3+wkts). Thorney won by an innings and 29 runs. C I P, 12th Sept. p 2. Tues/Wed. 8th/9th Sept. Parker’s Piece Cambridge, Castle v March return. March 55 & 61; Castle 75 &42 for 2 wkts. Castle won by 8 wkts. CIP 12th Sept p 2. Tues. 15th Sept. Whittlesey, Whittlesey v Thorney return. Thorney 46 in 3 innings; Whittlesea 85 in 2 innings. Whittlesea won by 49 runs. C I P, 3rd Oct. p 3. Wed. 30th Sept. Wisbech, Wisbech v Spalding. Spalding, arriving late, agreed for 1st innings losers to follow on. Wisbech 58; Spalding 57. Spalding refused to follow on. Game ended “abruptly”. “The partied did not dine together.” C I P 10th Oct. p 2. Thurs. 15th Oct. Chatteris CC end of season dinner provided by Thos. Fryer. C I P, 17th Oct. p 3. 9th May. Cambridge (?) said to be interested in playing the Islington Canonbury Club. The latter deny the possibility. Bell’s Life 9th & 16th May p 3. Thurs/Fri. 13th/14th May. University ground Cambridge, Cambridge Town Team (CTT) v CU. CTT 122 (Adams 62, Boning 25) & 17 for 1 wkt; CU 67 (Boning 3+wkts) & 71 (Boning 5+wkts). CTT won by an innings and 9 wkts. C Ch 21st May p 3 & ACSH 1830-1838. Mon. 31st May. Royston Junior Club v Potton Junior Club. Notice only. C I P, 29th May 1830, p 2. June. Potton, Potton Junior Club v Royston Junior Club. Potton 77(E. Norman 27Cornwall 4+wkts) & 59(J. Bumbery 16, Maine 4+wkts); Royston 33(Norman 3+wkts) & 31(Norman 3+wkts, Reynolds 4+wkts). Potton won by 72 runs. C I P, 26th June 1830, p 3. Chatteris CC willing to play Biggleswade and is willing to play any club within 20 miles. C I P, 3rd July 1830, p 2; Bell’s Life 18th July p 3. Tues 20th July. Ashdon, Ashdon v Castle. Castle won by 10 wkts. CIP 24th July p 2. Tues. 27th July. Parker’s Piece Cambridge, Castle v Ashdon return. Castle 70 & 62; Ashdon 83 & 39. Castle won by 10 runs. CIP 31st July p 2. Thurs. 29th/30th July (28th/29th). East Dereham or Swaffham or Norfolk v Hoop. Norfolk 131 (Alexander 40, G Caldwell 32) & 112 (Alexander 31, Fauquier 20, Boning 3+wkts); Hoop 102 (Sussums 29, Dugmore 3+wkts) & 83 (Crouch 22, Alexander 3+wkts). Norfolk won by 58 runs. CIP 31st July, Haygarth Vol II p 2/125. Tues 3rd Aug. D Hayward 5+ wkts for Chatteris v March 35. CIP 7th Aug p 2. Wed. 4th Aug. Thorney, Thorney v Wisbech for 22 pounds a side. Notice only. Bell’s Life 1st Aug. p 3. Thurs. 5th Aug. Royston Heath, Royston Senior v Junior Club. Band during day followed by dinner and concert. Thurs. 19th Aug. Wisbech v Thorney return. Wisbech 81; Thorney 69 in 2 innings. Wisbech won by an innings and 12 runs. Bell’s Life 22nd Aug. p 3. Mon/Tues. 23rd/24th Aug. Parker’s Piece Cambridge, Union v Islington Albion. Union 73 (Boning 29, Tombleson 3+wkts) & 62 (Jardine 5+wkts); Islington 119(Smith 27*, Groves 24) & 17 for 0 wkts. Islington won by 10 wkts. For 11 guineas. “…a more judicious selection must be made from the several clubs, before the town of Cambridge can expect to meet the Islington Albion with any probability of success.” “…nothing but the most egregious folly or vanity could have induced the Cambridge club to enter the field against a Club hardly second to any in the kingdom.” C Ch 27th Aug p 2 & CIP 28th Aug p 2. Thurs. 26th Aug. Cambridge, Bakers v Butchers. Butchers 31 & 71; Bakers 90 & 16 for 2 wkts. Bakers won by 8 wkts. CIP 4th Sept p 2. Mon/Tues/Wed. 6th/7th/8th Sept. Islington, Islington Albion v Union return. Islington 91(Schabner 24, Clarke 22, Sussums 3+wkts) & 130 (Schabner 32, Tombleson 29, Boning 4+wkts, Sussums 4+wkts); Union 110 (Boning 38, Rose 3+wkts) & 112 for 8 wkts (Stearn 25, Davis 23). Union won by 2 wkts. We trust the club will meet with more encouragement from the inhabitants generally.” “…the result has proved that their [Union Club’s] fame as good players still holds a prominent place in cricket renown.” Large crowd. CIP 11th Sept p2; Bell’s Life 12th Sept p 3. Wed. 22nd Sept. Willian Crane, a farmer, of Thorney v Freeman, a builder, of Wisbech. Freeman 5 & 10; Crane 16. Mon 27th Sept. Wisbech, single wicket, Mr William Moore of Wisbech CC (Elm) v Mr Thomas Aveling of Thorney CC (Whittlesea) for £16, “both being scientific players”. Moore 40 from 131 balls & 33 from 78 balls; Aveling 2 from 9 balls & 13 from 32 balls. Moore won by 58 runs. C I P, 1st Oct. 1830, p 3. Thurs. 7th Oct. Chatteris, Chatteris v March return. Chatteris won by 8 wkts. C I P, 2nd Oct. 1830, p 2. Fri. 22nd Oct. Chatteris end of season dinner. C I P 30th Oct. 1830, p 2. Thurs. 19th May. Parker’s Piece Cambridge, CU v CTT. CTT 124 (Emmerson 24, Davies 20, Chapman 5+wkts); CU 64 (Parnell 22*, Sussums 5wkts) & 32 (Sussums 3+wkts, Boning 3+wkts). CTT won by innings and 30 runs. CU Matchbook & ACSH p 16; C Ch 20th May p 3. Tues 21st June. Chatteris, Chatteris v Cambridge Castle. Chatteris 46 (Edwards 4+wkts) & 111 (Angood 42, J Hall 4+wkts); Castle 42 (J Hall 20, Haywood 3+wkts) & 40 (Haywood 3+wkts). Chatteris won by 75 runs. CIP 25th June p 2. Mon 27th June. March, single wicket match between 3 brothers and a cousin. Bates & J. Pope 10 & 16; H. & W. Pope 8 & 3. Bates & J. Pope won by 15 runs. C I P, 2nd July 1831 p 3. Fri 1st July. Lord’s, Single wicket, Sir St Vincent Cotton, Bart. v Sir F H Bathurst. Bathurst 11 and 13; Cotton 17 & 10. Sir St Vincent Cotton won. For £100. Bell’s Life 10th July p 3. Tues 5th July. Parker’s Piece Cambridge, CU v CTT. CU 86 (Wilkinson 37, Sussums 6+wkts) & 78 (Sanders 23,Edwards 3+wkts, Sussums 3+wkts); CTT side 138 (Sussums 44, Edwards 27, Sanders 3+wkts). CU gave up the match. C Ch 8th July p & ACSH p 19. Wed/Thurs. 13th/14th July. Cambridge, Castle v Chatteris. Castle 65 (Edwards 22, Hayward 3+wkts) & 54; Chatteris 107 (S Angood 25, Glasscock 23, Edwards 3+wkts) & 13 for 0 wkts. Chatteris won by 9 wkts. CIP 16th July p 2. Mon/Tues. 18th/19th July. Parker’s Piece Cambridge, Union v Islington Albion. Union 111 (Sussums 29, Boning 25, Johnson, 23, Clarke 3+wkts) & 112 (Stearn 32*, Boning 23, Clarke 3+wkts); Islington 100 (Schabner 39, Sussums 3+wkts) & 98 (Rose 36, Boning 4+wkts). Union won by 25 runs. CIP 23rd July p 2; Bell’s Life 31st July p 3. Sat. 30th July. Single wicket. 10 gentlemen of Newmarket. “Veteran player” Thomas Moody’s side v “celebrated batter” James Stebbings’ side. Moody won by 3 wickets. For a pony. Mon. 8th Aug. Wisbech, Wisbech CC v Downham Market CC. Wisbech 39(Lancester 3+wkts) & 97(Marshall 24, Lancester 4+wkts); Downham 46(Carter 16) & 38(Torry 4+wkts). Wisbech won by 52 runs. C I P, 13th Aug. 1831, p 2. Mon/Tues. 15th/16th Aug. Islington, Islington Albion v Union return. Islington 154 (Schabner 67, Groves 34, Sussums 7+wkts) & 142 (Gibson 50*, Boning 4+wkts); Union 49 (Rose 4+wkts) & 106 (Sussums 37, Hall 27*, Tombleson 3+wkts). Islington won by 141 runs. “We trust they [Cambridge] will never again have the vanity to go to London in search of conquest.” “Immense crowds.” CIP 20th Aug p 2; Bell’s Life 21st Aug p 3. Mon. 29th Aug. Downham Market, Downham Mkt CC v Wisbech CC return. Downham 100 & 85; Wisbech 50 & 63. Downham won by 72 runs. C Ch, 9th Sept. 1831, p 2. Tues. 30th Aug. Downham Market, several single wicket matches played. Tues 6th Sept. Ashdon, Ashdon, with Gatward of Walden v Chesterton. Ashdon 40 & 66; Chesterton 47 & 44. Ashdon won by 15 runs. C Ch, 9th Sept. 1831, p 2. Wed. 7th Sept. Wisbech v Downham Market deciding match. Wisbech 40 & 33; Downham 37 & 37 for 8 wkts. Downham won by 2 wickets. Wisbech players said to have been surprised by the earlier defeat by Downham Market and to have suggested that this third match “was to decide their superiority“. The N&BP took much pleasure in publishing the scores that proved them wrong. Bell’s Life 11th Sept. p 3; N&BP 14th Sept. p 3. Tues 13th Sept. Chesterton, Chesterton CC v Ashdon CC return. Ashdon 47 & 53 for 6 wkts; Chesterton 61 & 38. Ashdon won by 4 wkts. C I P, 17th Sept. 1831, p 2. Wed. 21st Sept. Parker’s Piece Cambridge, Castle v St Mary the Less. Notice. CIP 17th Sept p 2. 25th Sept. James Adams of Saffron Walden open to play John Boning of Cambridge for £10. If terms not acceptable he would play any Cambridge man for that sum. Bell’s Life 25th Sept p 4. Fri. 7th Oct. Chatteris end of season dinner. C I P, 15th Oct. p 2. Mon. 10th Oct. Parker’s Piece Cambridge, John Boning v James Adams, Single Wicket. Adams 1 & 24; Boning 18 & 0. Adams won by 7 runs. Large crowd. Haygarth Vol 2 p 168; Bell’s Life 16th Oct.
Several letters from “John Bowlstraight”[Mr Watford] asking for subscriptions towards levelling Parker’s Piece. “This fine ground is in many parts very dangerous for horses, and extremely so to cricketers, when retrograding to catch a sharp struck ball…” owing to “…ridge and furrow” extending from one side of the Piece to the other. C Ch 13th April 4th & 18th May p 3; CIP 21st April p 2. 14th April. Lord’s, OU & CU v MCC. Notice only. “…excites considerable interest among the elite.” CIP 14th April p 2. Tues/Wed. 22nd/23rd May. Parker’s Piece Cambridge, CU v CTT. CTT 163 (Hall 39, Boning 24, Thornhill 3+wkts) & 126 (Boning 34, Manners-Sutton 3+wkts); CU 82 (Powys 48, Boning 5+wkts) & 96 (Meyrick 21, Brown 20, Sussums 3+wkts, D. Edwards 4+wkts). CTT won by 111 runs. CIP 26th May, ACSH, Bell’s Life 3rd June p2/27/3. Tues/Wed 29th/30th May. Parker’s Piece Cambridge, CTT v CU return. CU 113 (Sanders 49, Ellis 24, Sussums 4+wkts) & 31 (Sussums 6+ wkts, Boning 3+wkts); CTT 142 (Boning 45* Parnther 3+wkts) & 3 for 1 wkt. CTT won by 9 wkts. Pilch acted as sub for the University. CIP 2nd June p 2; ACSH p 28. Mon/Tues. 2nd/3rd July. Lord’s, MCC (with Lillywhite) v Cambridgeshire (with Pilch & Caldecourt). MCC 125 (Ward 54*, Kingscote 20, Caldecourt 5+wkts) & 67 (Pilch 4+wkts); Cambs 103 (Pilch 50, Hayward 24, Lillywhite 5+wkts, Harvey-Bathurst 3+wkts) & 91 for 4 wkts (Pilch 41*, Hayward 22). Cambs won by 6 wkts. CIP 9th & 13th June & 7th July p 2; AC S H p31. Fri 6th July. Chesterton, Married v Single. Married won by 5 wkts. C I P, 14th July, p 2. Tues. 10th July. Saffron Walden, single wicket, Adams v Hayward return. Hayward won by 7 runs. C I P, 21st July 1832, p 2. Thurs. 12th July. Wisbech v Elm. Wisbech 39 & 26; Elm 81. Elm won by an innings & 16 runs. C Ch, 13th July, p 3. Tues. 17th July. Ashdon, Ashdon v Chesterton. Ashdon 37 & 76; Chesterton 85 & 31 for 2 wkts. Chesterton won by 8 wkts. C I P, 21st July 1832, p 2. Tues. 24th July. Chesterton, Chesterton v Ashdon return.. Chesterton 74 & 95; Ashdon 61 & 48. Chesterton won by 6 runs. C I P, 28th July 1832, p 2. Fri. 27th July. Godmanchester, Huntingdon & Godmanchester v Chesterton. Chesterton won by an innings. C I P, 4th Aug. 1832, p 3. Wed. 1st Aug. Wisbech, Wisbech v Downham Market. Wisbech won. C I P, 11th Aug, 1832, p 2. Mon. 6th Aug. Downham Market, Downham CC v Wisbech (with 2 of Chatteris) return. Downham 71(Carter 17, Shepherd 4+wkts) & 68(Carter 23, Shepherd 3+wkts); Wisbech 99(West 40, Barker 24, Lancaster 4+wkts) & 41 for 2 wkts(Ward 20.). Wisbech won by 8 wkts. C I P, 11th Aug. 1832, p 2. Tues 7th Aug. Chesterton, Chesterton v Huntingdon & Godmanchester return. Chesterton won by an innings & 7 runs. C I P, 10th Aug. 1832, p 2. 12th Aug. 21 year old March man challenges any man of same age from Cambridgeshire, Huntingdonshire, Bedfordshire or Hertfordshire to a home and home match for £5 a side. Bell’s Life 12th March p 3. Tues 14th Aug. Cambridge, Married v Single. Md 65 & 101; Sgle 49 & 120 for 6 wkts. Sgle won by 4 wkts. CIP 18th Aug p 2. Sat. 24th Aug. Newmarket v Bury. Newmarket 81 & 51; Bury 79 & 64. Bury won by 11 runs. C Ch, 31st Aug. 1832, p 3. Wed/Thurs. “28th/29th Aug. Parker’s Piece Cambridge, Castle v Newmarket. Newmarket 67 (Edwards 3+wkts, W Hall 3+wkts) & 63 (Weatherby 32*, Stubbings 21, W. Hall 4+wkts, Edwards 3+wkts); Castle 60 (Count 6+wkts) & 72 for 5wkts (Whittaker 29*, Chapman 3+wkts). Castle won by 5 wkts. CIP 1st Sept p 2. Mon/Tues. 3rd/4th Sept. Newmarket, Newmarket v Cambridge Castle return. Newmarket 75 (Weatherby 41) & 62 (Edward 3+wkts; Castle 52 (Chapman 5wkts, Count 5wkts) & 87 for 3 wkts (J Hall 41*, W Hall 29*). Castle won by 7 wkts. CIP 8th Sept p 2. Mon. 3rd Sept. Saffron Walden, Under 17’s. Saffron Walden v Cambridge. Matched not played due to dispute led by a “very obnoxious” Adams of Walden. CIP 8th Sept p .
Fri. 7th Sept. The Denes, Great Yarmouth, Single wicket. Hilder of Cambridge v Hide of Cambridge. Hilder 12 & 5; Hide 0 & 9. Bell’s Life 16th Sept. Sat. 8th Sept. Bury v Newmarket return. Bury won by a “large majority”. Bell’s Life 16th Sept.
Wed. 12th Sept. Parker’s Piece, Hoop Sociable v Crown Inn. Crown 69 & 162; Hoop 51 & 42. Crown won by 118 runs. C Ch, 21st Sept. 1832, p 2. Tues 16th Oct. Ely, Ely Juniors v Chatteris Juniors. Ely 34 & 29; Chatteris 78 & 55. C I P 13th Oct. p 2. Fri. / Sat. 26th / 27th Oct. Chatteris, Chatteris Juniors v Ely Juniors. Ely won by 5 wkts. “…to the astonishment of the spectators.” C I P 3rd Nov. p 2. Hayward played for Players v Gents. CIP 20th July p 2. Tues. 14th May. Parker’s Piece, St John’s College v Caius College. St John’s 44 & 78; Caius 92 & 105. Caius won by 75 runs. Bell’s Life 19th May p 3. Tues/Wed. 21st/22nd May. Parker’s Piece Cambridge, Union v CU. Union 112 (Boning 48, Parnther 5+wkts) & 83 (Page 35*, Boning 22, Parnther 3+wkts); CU 59 (D Edwards 4+wkts, Boning 5+wkts) & 56 (Boning 5+wkts). Union won by 80 runs. “Both sides will include many superior players.” CIP 25th May, ACSH p 2/42. Mon/ Tues. 27th/28th May. Parker’s Piece Cambridge, CU (with Caldecourt & Daplyn) v CTT. CU 104 (Caldecourt 28,Garnett 20, D. Edwards 6+wkts) & 158 (Wilkinson 58, Garnett 21, D Edwards 3+wkts); CTT 68(Daplyn 5wkts, Caldecourt 5wkts) & 102 (Stearn 35, D. Edwards 21*, Daplyn 5+wkts, Caldecourt 4+wkts). CU won by 92 runs. ACSH p 43, CIP 1st June p 43/2. 8th June. Cambridge. Warwick CC challenged Cambridge Town. CIP 8th June p 2. Fri. 5th July. St Neots, St Neots v Chesterton Roebuck Club. St Neots 28 & 44; Chesterton 69 & 4 for 0 wkts. Chesterton Roebucks won by 10 wkts. C Ch 12th July, p 2; C I P, 29th June 1833, p 2. Fri. 12th July. Chesterton, Chesterton Roebuck Club v St Neots CC. Chesterton won by “a very large majority.” C Ch, 19th July 1833, p 3. Mon. 15th July. Hayward for Players v Gents. 0 & 0; 1 catch. C I P 20th July 1833 p 2. Wed. 17th July. Parker’s Piece Cambridge, Cambridge Juniors (Gloucester) v Newmarket Juniors. Cambridge 33 & 89; Newmarket 67 & 47. Cambridge won by 8 runs. C Ch 19th July p 3. Thurs. 18th July. Newmarket, Newmarket CC v Chesterton Roebuck Club. Newmarket 48 & 63(Weatherby 46); Chesterton 100 & 13 for 1 wkt. C I P, 20th July 1833, p 2. Mon. 22nd July. Lord’s, MCC v Cambridgeshire with Pilch and Caldecourt. Match cancelled. CIP 20th July p 2; Bell’s Life 16th June & 14th July p 3. Thurs 15th Aug. Newmarket, Newmarket v Cambridge Juniors return. Cambridge 40 & 77; Newmarket 141 (J Miller 44). Newmarket won by an innings & 24 runs. CIP 17th Aug p 2. Thurs. 15th Aug. Parker’s Piece Cambridge, single wicket, Fenner & Bowtell v W Hall & D Edwards. Fenner & Bowtell won. CIP 17th Aug p 2. Mon. 19th Aug. Crouch 25* & 61, Haggis 7+ wkts for Chesterton v Newmarket. C Ch 23rd Aug p 2. Wed. 21st Aug. Parker’s Piece Cambridge, single wicket, Boning & D Edwards v Fenner & Stearn for £5 a side. Boning & Edwards 7 & 13; Fenner & Stearn 2 & 11. Boning & Edwards won by 7 runs. C Ch 23rd Aug p 2. Sat. 24th Aug. Newmarket, Newmarket CC v Bury St Edmunds CC. Bury 111 & 96; Newmarket 62 & 74. Bury won by 71 runs. C I P, 14th Sept. 1833, p 2. Mon. 26th Aug. March, Matthews & Smith v 8. Double wicket. M & S won by 108 runs. CIP 31st Aug p 2; Cricketers’ Register p 27. Wed. 28th Aug. March, March Junior Club v Chatteris Junior Club. March won by 9 wkts. C I P, 31st Aug. 1833, p 2. Thurs 29th Aug. March, Massey of March v West of Chatteris. West won. C I P, 31st Aug. 1833, p 2. Thurs. 5th Sept. Bury. Bury St Edmunds CC v Newmarket CC. Bury 110 & 86; Newmarket 56 & 99. Bury won by 31 runs. C I P, 14th Sept. 1833, p 2. Thurs 5th Sept. Chatteris, Chatteris Junior Club v March Junior Club return. Chatteris 64 & 51; March 67 & 49 for 2 wkts. March won by 8 wkts. After-match dinner at Horse & Gate Inn. C I P, 7th Sept, 1833, p 2. Chatteris CC happy to play March CC home and home. C I P, 7th Sept 1833, p 2. Tues 10th Sept. Ramsey, Ramsey CC v Whittlesea CC. Ramsey 61(Searle 3+wkts) & 84(Ridlington 42); Whittlesea 38(W. Aveling 16, Ridlington 6+wkts) & 42(Jones 4+wkts, Ridlington 4+wkts). Ramsey won by 65 runs. C Ch, 13th Sept. 1833, p 2. Thurs. 12th Sept. Bourn, Bourn v Caxton. Caxton 4 & 29; Bourn 16 & 18 for 6wkts. After-match dinner at Red Lion. C I P, 14th Sept. 1833, p 2. 14th Sept. Cambridge, Castle agreed to play Union. CIP 14th Sept p 2. Tues. 16th Sept. Whittlesea, Whittlesea v Ramsey return. Ramsey won by 9 wkts. C Ch 20th Sept. p 2. Thurs. 19th Sept. Caxton, Caxton v Bourn return. Caxton 30 & 50; Bourn 55 & 25 for 6wkts. Bourn won by 4wkts. After-match dinner at the George. C I P, 28th Sept. 1833, p 2. Fri. 21st Sept. Sutton, Sutton v St Ives. Notice only. C Ch, 20th Sept. p 2. Mon. 23rd Sept. Cambridge, Single Wicket, Boning & Edwards v Fenner & Stearn return. Notice. CIP 14th Sept p 2. Sept. / Oct. Mepal v Sutton. C I P, 12th Oct. p 2. Wed. 9th Oct. Sutton, Sutton v Mepal return. Sutton won by 1 wkts. C I P, 12th Oct. p 2. Tues. 22nd Oct. Chatteris CC end of season dinner provided by Thomas Skeels Fryer. “Report says the club is as strong as ever in good players; this may be true, but there has been no trial of strength this year.” “How many had their wickets lowered by that prince of bowlers, Sir John Barleycorn, our informant sayeth not…” C I P 26th Oct. p 2. Colleges – St John’s College lost to Caius College. Bell’s Life 19th May p 3. Sat. 25th April. Cambridge, Mr Barber’s School v Mr Johnson’s School. Barber’s won by 5 wkts. CIP 3rd May p 2. Thurs. 30th April. March new ground, East v West. West 55 & 25; East 30 & 50. Match tied. “…their new ground, which does great credit to the landlord who we hope, for his exertions to promote this manly game, will be amply remunerated.” C I P, 3rd May 1834, p 2; Bell’s Life 27th April p 3. Mon. 12th May. Ely, Married v Single. Single won by 8 wkts. C I P, 17th May 1834, p 2. Wed/Thurs. 14th/15th May. Parker’s Piece Cambridge, CU v CTT. CU 45 (Fenner 5+wkts, Edwards 4+wkts) & 138 (Parnther 32, Manners-Sutton 21, Edwards 5+wkts, Fenner 3+wkts); CTT 170 (Stearn 42, Boning 40, Crouch 22, Parnther 4+wkts) & 14 for 2wkts. CTT won by 8wkts. CIP 24th May, ACSH p 2/55. Wed/Thurs. 21st/22nd May. Parker’s Piece Cambridge, CU v CTT. CU 93 (Kavanagh 27, Edwards 6+wkts, Fenner 3+wkts) & 87 (Parnther 31, Edwards 3wkts, Fenner 5wkts); CTT 168 (Stearn 34, Edwards 31, J. Hall 28, Parnther 7+wkts) & 13 for 0 wkts. CTT won by 10 wkts. ACSH, C Ch 30th May p54/2. Hayward & Glasscock of Chatteris have accepted a challenge from Fenner & Stearn of Cambridge. First match expected end of June. CIP 31st May, C Ch 30th May, CIP 31st May p 2. June. Ely, Single v Married return. Notice only. C I P, 17th May 1834, p 2. Chatteris ready to play any club within 20 miles and confined to one parish. C I P, 21st June 1834, p 2. Mon. 16th June. March, March v Downham Market. March 72 and 18; Downham 78 and 13(?) for 2 wkts. Downham Market won by 8 wkts. C Ch 27th June, 1834 p 3. Norfolk Chronicle 21st June p 2;Bell’s Life 29th June p 3. Fri. 20th June. Spalding. Spalding v Thorney Fen. Spalding won by 6 wickets. Mon. 23rd June. Downham Market, Downham Market v March return. March 85 & 110; Downham 108 & 29 for 4wkts. Game unfinished due to dispute over whether to play out the game in one day or two. On being appealed to by a member of the Downham Club, Bell’s Life states that in the absence of an agreement for that match the Downham team should have been prepared to play on while the light on the first day was good enough. It advises the two sides to come to a mutual agreement concerning the match stakes. C Ch, 27th June 1834, p 3. Norfolk Chronicle 21st June p 2. CIP 28th June, p 3; Bell’s Life 29th June p 3. Thurs, 17th July. Newmarket, Newmarket Senior Club v Juvenile Blues. J B’s 169 & 99; Seniors 133 & 28. J B’s won by 107 runs. C Ch, 25th July 1834, p 3. Sat. 19th July,Chesterton happy to play Chatteris, “although they cannot comply with the above particulars. C I P, 19th July 1834, p 2. Tues/Wed. 22nd/23rd July. Parker’s Piece Cambridge, Cambridgeshire v Nottinghamshire (Old Club). Cambs 23 (Barker 5+wkts, Redgate 4+wkts) & 73 (Barker 5+wkts); Notts 136 (Good 47, Clarke 22) & 112 (Heath 30, Edwards 4+wkts). Notts won by 152 runs. “…between the elite of the clubs of both counties” “It was impossible to stand before the peculiar bowling of Mr Barker, which were for the most part thrown from the shoulder…the Cambridge players shrunk from the unfair encounter.” CIP 26th July, ACSH p 2/61; Leicester Ch. 5th July. Mon. 28th July. Single wicket, Charles & Stephen Aveling of Elm v J. Aveling & G. Wooll for Upwell. Elm 7 & 6; Upwell 7 & 7 for 0wkt. Upwell won by 2wkts. C I P, 2nd Aug. 1834, p 2. Mon. 28th July. St Neots, St Neots v Potton. St Neots’ bowling described as “of a more nefarious description than that practised by the Nottingham against Cambridge.” C I P 2nd Aug. p 3. 10th Aug. Return match between “Nottingham” and “Cambridge” postponed from 12th to 26th Aug. due to illness of two Cambridge players and unavoidable absence of Sir St Vincent Cotton. Bell’s Life 10th Aug. p 3. Wed. 27th Aug. Sutton, Long Sutton v French Drove Union. Sutton won by 14 runs. C I P, 13th Sept 1834 p 3. Wed 27th Aug. Fordham, Fordham v Ely. Ely 52 & 26 for 3 wkts; Fordham 19 & 57. Ely won by 7 wkts. C I P, 30th Aug. p2. Thurs./Fri. 28th/29th Aug. Nottingham, CTT v Nottingham New Forest Club (with Clarke). New Forest 121 (Clarke 43, Jerram 21); CTT 18 for 3 wkts. Match abandoned. Rain. Bell’s Life 31st Aug p 4. Sat. 30th Aug. Single wicket, Upwell v Elm return. Notice only. C I P, 2nd Aug. 1834, p 2. Wed. 3rd Sept. Union Gd, near the Blue Bell in Thorney Fen, French Drove Union v Long Sutton return. French Drove won by 28 runs. C I P 13th Sept. p 3. Mon. 15th Sept. Parson Drove, Thorney Fen [French Drove Union? ]v Long Sutton conquering match. Thorney Fen won by 4 wkts. C Ch, 19th Sept. p 3. Wed / Thurs. 17th/18th Sept. Chatteris, Chatteris v Downham [Mkt?]. Downham 90 & 107 (Johnson 34 in 2 innings, Norburn 37 in 2 innings, G Glasscock 26 in 2 innings; Chatteris 32 & 105. Downham won by 60 runs. Batting of G. Glasscock, W. Beeton, & W. Carter for Downham and John Fryer Jnr & Robert Glasscock for Chatteris much admired. C Ch, 26th Sept. p 2; Bell’s Life 21st Sept. p 3. Wed/Thurs. 24th/25th Sept. Downham Market, Downham Market v Chatteris return. Downham 109 & 172 (Wright 42 in 2 innings, G Glasscock 21 in 2 innings, Norburn 35 in 2 innings, Eddison 99 in 2 innings); Chatteris 102 & 68 (West 41 in 2 innings, Marshall 25 in 2 innings). Downham won by 111 runs. Wm Bagge of Downham bowled 68 balls for 6 runs in the 2nd innings. Batting of Eddison (Downham), W Marshall (Chatteris) & West (Chatteris) commended. C Ch, 26th Sept. p 2. Bell’s Life 5th Oct. p 3. Thurs. 7th May. March, match between two March elevens. Won by 9 wkts. C I P, 9th May 1835, p 2. Mon/Tues. 18th/19th May. Eton Scholars v Rest of University. University 57(55) (Wylde 26) & 82(84) (Ponsonby 47, Hand 5 wkts); Eton 247 (Oddie 40, Wilkinson 31, Chapman 68, Manners-Sutton 28, Hodgson 25). Eton won by an innings & 107. ***check matchbook for scores. *** C I P, 23rd May. p 2. A proposed match between Cambridge town and university was abandoned due to difficulties in finding a venue for the after-match dinner. “…the town players mostly consisting of individuals to whom time is an object, their fellow-townsmen should exercise a little more liberality in support of an amusement which never fails to create much interest…” CIP 23rd May p 2. Mon. 25th, May. Trinity College v Jesus College. Trinity won by 6 wkts. C Ch, 29th May 1835, p 2. Tues. 26th May, St John’s College v Christ’s College. St. John’s won easily. C Ch, 29th May 1835, p 2. Wed/Thurs. 27th/28th May. Parker’s Piece Cambridge, CU v MCC. MCC 146 & 196; CU 90 & 170. MCC won by 82 runs. Parker’s Piece “so much improved by the active and creditable exertions of Mr Watford.” C Ch 29th May 1835 p 2. Fri/Sat. 29th/30th May. Parker’s Piece Cambridge, CU v Norfolk. CU148 & 146; 126 & 147. CU won by 25 runs. CIP 6th June p 2. Tues. 2nd June. Parker’s Piece Cambridge, single wicket. Parnther, Caldecourt & Redgate v Fenner, Saunders & Pilch. P, C & R won by 25 runs. Played after the CU v Norfolk match. Haygarth Vol II, Bell’s Life 7th June p 304/3. Sat. 6th June. Chatteris ready to play any club within 20 miles. C I P, 6th June 1835, p 2. 14th June. Cambridge challenged “the best eleven that can be selected from any club within 50 miles of Cambridge.” Fenner) challenged any cricketer within 50 miles of Cambridge to single wicket. Bell’s Life 14th June p 4. Wed 17th June. Parker’s Piece Cambridge, Albion (Youths) v Newmarket Youths. Albion 82 (Harvey 6 wkts) & 69 (Jeffs 22*, Harvey 6+wkts); Newmarket 89 (Westley 30) & 55 for 8 wkts. Newmarket won by 2 wkts. CIP 20th June, Bell’s Life 21st June p 2/3. Thurs/Fri. 18th/19th June. Chesterton, Chesterton v Hitchin. Hitchin won by an innings & 109 runs. C Ch, 26th June 1835, p 2. Tues. 23rd June. Chesterton, Boutell, Haggis, Rowley & Eaden v Fenner, Brown & Charlton. B, H, R, & E won by 4 runs. Bell’s Life 28th June p 3. Wed 15th July. Newmarket, Newmarket v Cambridge Albion return. Newmarket 101 & 100; Cambridge 71 & 124 for 4wkts. CIP 18th July p 1. Thurs. 16th July. Hitchin v Chesterton return. “The latter were beaten in one innings.” C I P 18th July, p 2; C Ch, 26th June 1835, p 2. 24th July. Lord’s, MCC v CU. CU 67 & 85; MCC 177. MCC won by an innings & 25 runs. Haygarth Vol II p 332. Wed. 29th July. Parker’s Piece Cambridge, Castle v Fulbourn. Fulbourn 79 & 132 for 3 wkts; Castle 207. Unfinished. To be continued after harvest, the wheat harvest being very good. CIP 1st Aug, 12th Sept, C Ch 31st July p 2/2/3. Fri. 31st July. Spalding v Wisbech. Spalding won by about 30 runs. C I P, 8th Aug 1835, p 2. Wed. 5th Aug. Cambridge, Hoop Sociable v Hoop Gardens. Notice only. C I P, 1st Aug. 1835, p 2. Wed/Thurs. 5th/6th Aug. Hayward 112 for Chatteris v Downham Market. West 107. CIP 8th Aug. Bell’s Life 19th July p 2/3. Wed/Thurs. 12th/13th Aug. Hayward 42 & 74* for Chatteris v Downham Market. C Ch 21st Aug p 2; CIP 15th Aug p 2. Fri. 14th Aug. Wisbech, Wisbech v Spalding return. Notice only. C I P, 8th Aug 1835, p 2. 15th Aug. March challenge Chatteris. C I P, 15th Aug. 1835, p 2. Mon. 24th Aug. Bishop’s Stortford, Bishop’s Stortford v Chesterton. Stortford 47 & 65; Chesterton 116. Chesterton won by an innings and 4 runs. C I P, 29th Aug. 1835, p 2. Mon. 31st Aug. Chesterton, Chesterton v Bishop’s Stortford. Stortford 75 & 65; Chesterton 68 & 45. Bishop’s Stortford won by 27 runs. C I P, 5th Sept. 1835, p 2. Wed/Thurs. 2/3rd Sept. Saffron Walden, Saffron Walden v Cambridge Castle (Fenner not bowling). Walden 59 (J. Adams 30) & 172 (A. Adams 28, J. Adams 40, Redhead 43*, Wesson 24); Castle 99 & 92 (C. Pryor 23, Seymour 26). Walden won by 40 runs. CIP 12th Sept, Haygarth Vol II p 2/348. Tues/Wed. 8th/9th Sept. Parker’s Piece Cambridge, Castle v Saffron Walden return. Walden 87 (J. Adams 38) & 116 (A. Adams 38, J. Adams 35); Castle 86 (F. P. Fenner 23, J. Hall 26) & 31. Walden won by 86 runs. CIP 12th Sept, Haygarth Vol II p 2/351. Thurs, 10th Sept. Fordham, Fordham v Newmarket. Newmarket 29 & 22; Fordham 80 & 87. Fordham won by 116 runs. After-match dinner at Mr. Markham’s Green Dragon. C I P, 19th Sept 1835, p 2. Mon. 14th Sept. Parker’s Piece Cambridge. Resumption of Castle v Fulbourn from 29th July. Castle won by 7 wkts. CIP 19th Sept p 2. Thurs. 17th Sept. Fulbourn, Fulbourn v Cambridge Castle return. Fulbourn 43 & 69; Castle 63 & 29. Fulbourn won by 20 runs. CIP 19th Sept p 2. Mon. 21st Sept. Saffron Walden, Bishop’s Stortford CC v Chesterton CC deciding match. Notice only. C I P, 19th Sept 1835, p 2. Wed. 23rd Sept. Newmarket, Newmarket v Fordham return. Notice only. C I P 19th Sept.1835, p 2. Wed. 7th Oct. Chatteris CC end of season dinner provided by Thomas Fryer Esq. C I P 10th Oct. 2. “F. P. Fenner, tobacconist…….has just received a quantity of well-seasoned Cricket-Bats, Stumps, &c.; to the former of which, being selected by himself, he respectfully solicits the attention of the University Clubs, and Cricketers in general. Country Clubs supplied. Instructions given to Amateurs.” CIP 12th Mar p 3. Thurs. 12th May. Fenner played for Cambridge University 2nd XI v 1st XI in practice match. 4 & 59; 5 wkts & 5 wkts. Haygarth Vol 2, p356. Thurs 19th May. F P Fenner married to Miss Mary Williams, eldest daughter of Mr John Smith, late of Chatteris, auctioneer. B&NP 25th May 1836. Tues/Wed. 24th/25th May. CU v CTT. CU 60 (Fenner 3+wkts) & 86 (Fenner 3+wkts); CTT 55 (J Kirwan 6+wkts) & 72 (J Kirwan 9wkts). CU won by 19 runs. CIP 28th May, ACSH p 2/82. Thurs. 26th May. Parker’s Piece Cambridge, CU v MCC. MCC 61& 97; CU 115 & 44 for 2 wkts. CU won by 8wkts. ACSH (? ), CIP 28th May p 83/2. 4th June. Chatteris challenge Huntingdonshire. C I P, 4th June 1836, p 2. Mon/Tues. 13th/14th June. Lord’s, MCC v CU return. MCC 68 & 124; CU 35 & 54. MCC won by 103 runs. ACSH p 86. Thurs/Fri. 23rd/24th June. Lord’s, OU v CU. OU 100 & 200; CU 127 & 52. OU won by 121 runs. ACSH p 87. Mon. 27th June. Lynn v March. Lynn 58 (Bagge 23+) and 44; March 23 and 56. Lynn won by 23 runs. C I P, 2nd July 1836, p 2. Norfolk Chronicle 2nd July p 2. 3rd July. “Anxious for a match to enliven the amateurs of Cambridge Mr J[F] P Fenner” repeats his single wicket challenge of last year. Bell’s Life 3rd July p 3. 11th /12th July. Fenner & Hayward played for North v South at Lord’s. Fenner 3 & 3; Hayward 0 & 3 and kept wicket. C I P 16th/19th July 1836, p .
Fri/Sat. 16th/17th July. Wisbech v Spalding (with one from Irnham). Wisbech won by 43 runs. C I P, 23rd July p 2; Bell’s Life 24th July p 3. Wed. 20th July. Fulbourn v Newmarket. Notice only. C I P, 16th July 1836, p 2. Thurs. 21st July. March v Lynn return. Lynn 62 and 71(Bagge 49); March 57 and 62. Lynn won by 14 runs. Notice only. C I P, 16th July 1836, p 2. Norfolk Chronicle 30th July p 3. 20th Aug. March open to play any town within 20 miles. C I P, 20th Aug. 1836, p 2. Thurs. 25th Aug. Parker’s Piece Cambridge, CU in residence v CTT. CTT won by an innings and several runs. C Ch 26th Aug p 2.
Letters from F.P. Fenner & “W C” objecting to horses being ridden over the cricket ground on Parker’s Piece. “We have…I think the best public cricket ground in England.” “It is the encouragement of this truly English game that produces that happy concord of social enjoyment, amid the thrilling excitement of which the pleasing rationality of friendship bids defiance to the corroding effect of a too-often-indulged care.” C Ch 26th Aug & 2nd Sept p 3/2. Letter from “W.C” endorsing Fenner’s comments. C Ch, 2nd Sept. 1836, p 2. Thurs. 8th Sept. Royston Juniors v Cambridge Albion. Albion 49 & 48; Royston 38 & 60 for 7 wkts. Royston won by 3 wkts. CIP 10th Sept p ?. Mon. 12th Sept. Fordham v Fulbourn. Fulbourn 44 & 50; Fordham 46 & 59. Fordham won by 11 runs. C Ch, 16th Sept, 1836, p 2. Mon. 19th Sept. Fulbourn v Fordham return. Notice only. C Ch, 16th Sept. 1836, p 2. Mon. 19th Sept. Cambridge, Albion v Royston Juniors return. Albion won by 82 runs. CIP 17th Sept p .
Mon. 3rd Oct. Aug. Parker’s Piece Cambridge, Castle v Saffron Walden return. C Ch 7th Oct p 2. Fenner played for CU 2nd XI, repeated his single wicket challenge of last year, played for North; Hayward played for North. 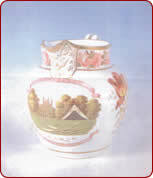 Haygarth Vol II, Bell’s Life 3rd July, CIP 16th/19th July p 356/3/?. April. “…the cricketers of this town are about to establish a new club [Cambridge Town CC (CTC)], on a more extended principle; by which means they hope to be able to gratify their townsmen by playing more interesting matches than we have been accustomed to of late.” Meeting held at University Arms Hotel. “…an opportunity is now offered to the gentry and others of our town and neighbourhood of encouraging the manly game of cricket…” C Ch 29th April p 2 & 6th May p 2/3. Mon./Tues. 15th/16th May. Parker’s Piece Cambridge, CTT v CU. CTT 109 (Fenner 21, Edwards 29, Boning 28, J H Kirwan 4+wkts) & 110 (Fenner 37, Haggis 36*, J H Kirwan 3+wkts); CU 110 (J Kirwan 32, Broughton 25, Fenner 3+wkts) & 57/8 (Fenner 4/5+wkts, Edwards 2/3+wkts). CTT won by 51/2 runs. The CU was coached by Caldecourt and Redgate”. C Ch 20th May, Haygarth Vol 2 p 2/397. Wed. 17th May. Parker’s Piece Cambridge, CU v MCC. MCC 70 & 64; CU 81 & 54 for 2 wkts. C U won by 8 wkts. CIP 20th May, Haygarth Vol 2 p 4/398. Thurs. 25th May. March Club commence season with match between members. Bell’s Life 21st May, p 4. June. Mr Johnson’s Academy v Mr Barber’s Academy. Presumably Mr Barber’s team won. Mr Johnson’s challenged Mr Barber’s to a second match and “any Cambridgeshire school.” CIP 10th June p 2. June. “Mr Crouch…will be happy to receive subscriptions and donations” towards the “newly established Town cricket-club”. CIP 10th June p2. 10th June. New ground opened at Linton. C I P 10th June p 4. Mon. 12th June. Parker’s Piece Cambridge, CU v CTC (barring Edwards, Fenner and Haggis). CTC 178 (Boning 33, Crouch 20, Boys 4+ wkts) & 211(?) (Pryor 22, Boning 31, Herbert 44, Impey 26, Crouch 23*); CU 201 (?) (Frost 41, Spencer 46, Mills 25(? ), Boning 4+wkts) & 41 (Boning 3+wkts). CTC won by 147 runs. CIP 17th June p 4. Tues. 13th June. Parker’s Piece Cambridge. “…as early as between four and five o’clock” in the morning. Drapers v Grocers. Drapers 68 & 81; Grocers 101 & 24. Drapers won by 24 runs or “five hundred and twenty eight yards.” CIP 17th June p 4. Wed. 14th June. Long Sutton, Long Sutton v Wisbech. Wisbech 51 & 27 for 1 wkt; Sutton 37(35) & 38. Wisbech won by 9(8) wkts. CIP 17th June 1837, p 3; Stamford Mercury23rd June 1837. 17th June . Mr Barber’s academy declined the challenge from Mr Johnson’s academy “in consequence of an indirect insinuation of unfairness”. CIP 17th June p 4. Mon. 26th June. Lord’s, MCC v CU. MCC 41 (Thackeray 4 wkts) &86; CU 78 & 52 for 1 wkt. CU won by 9 wkts. Haygarth Vol 2 p 409. Wed. 28th June. Wisbech, Wisbech v Sutton return. Advance notice only. CIP 17th June 1837, p 3. Wed. 28th June. Lord’s, Gentlemen of Hertfordshire (with Cobbett) v CU. Herts 137 & 174. CU 161 & 45 (Cobbett 7 wkts). Hertfordshire won by 205 runs. Haygarth Vol II p 412. Sat. 8th July. Harrow, Harrow v CU. CU 123 & 162; Harrow 78 & 52 for 5 wkts. Haygarth Vol 2 p 415/6. Tues. 11th July. Eton. Eton College v King’s College. Eton 167; King’s 49 & 145. Unfinished. King’s considered the winners. C I P 22nd July 1837 p 4. Wed. 12th July. Thorney, Thorney v Wisbech. Thorney won by “about 50 runs”. C Ch 15th July 1837 p 2. Mon. 17th July. Match between members of March club. CIP p 4; C Ch p 2, 22nd July 1837. Wed. 26th July. Wisbech, Wisbech CC v Thorney CC return. Wisbech 91(Barker 29) & 45(Gibbs 5+ wkts); Thorney 77(Wright 29, Moore 3+ wkts, Marshall 3+ wkts) & 60 for 7 wkts (Gibbs 29*Lawrence 4+ wkts). Thorney won by 3 wkts. CIP 5th Aug. 1837, p 4. Thurs. 10th Aug. Royston Heath, Royston CC v Buntingford CC. Royston 87(Trustrum 30, S Archer 3+ wkts, Read 4+ wkts) & 36(Read 3+ wkts, Archer 3+ wkts); Buntingford 30(Gordon 4+ wkts) & 45(Gordon 4+ wkts). Royston won by 48 runs. CIP 19th Aug. 1837, p 8. Fri. 18th Aug. Newmarket, Newmarket v Old Bury. Newmarket Crown Club 124 (Harvey 23); Old Bury 69 & 155 (King 61, Atkins 31*). Match drawn. Dinner at Crown. C Ch 26th Aug. 1837, p 2; Bell’s Life 3rd Sept. p 4. Fri. 25th Aug. Ely, 10 persons of Ely with Grey, late of Windsor v 10 tradesmen of Ely. Challengers 36 & 9; Tradesmen 70(Aspland 23, Dunford 23) and 58. Tradesmen won by 83 runs. Followed by single innings match. Tradesmen won with several wickets to go down. “The contending parties dined separately in the evening, an arrangement which appeared to many of the inhabitants a deviation from the good old-English felling customary on such occasions.” C Ch 26th Aug. 1837, p 2. Thurs. 31st Aug. Newmarket Crown Club v Bury Old Club. Newmarket 115 (Harvey 27*, Howlett 6+ wkts)& 21 for 1 wkts; Bury 58 (Howlett 6+ wkts) & 84 (Bloss 3+ wkts). Newmarket won by 9 wkts. Bell’s Life 3rd Sept p 4. Fri. 1st Sept. Newmarket, between “10 gentlemen of Newmarket…instead of going a-shooting, the harvest being so backward.” 1st team 20(J Leech 4+ wkts) & 7(J Leech 3+ wkts); 2nd team 28(Bottom 4+ wkts) & 15(Bottom 4+ wkts). 2nd team won by 16 runs. CIP 9th Sept. 1837, p 4. Mon./Tues. 11th/ 12th Sept. Parker’s Piece Cambridge, Castle v March. March 41 (Pryor 4/5 wkts, Fenner 4 wkts) & 106 (Glasscock 30*); Castle 80 (J Hall 20, W Hall 25, Rhodes 6 wkts) & 60 (Rhodes 6+ wkts). March won by 7 runs. C Ch 16th Sept, Haygarth Vol II p 2/432. Sept(?) Fordham, Fordham v Ashley. C Ch 23rd Sept. 1837, p 2. Sept (?) French Drove v Peterborough. French Drove won. C I P 23rd Sept. 1837 p 8. Mon 18th Sept. Ashley, Ashley v Fordham return. Ashley won by 9 wkts. Followed by single innings match. Fordham 47; Ashley 48 for 3 wkts. Ashley won by 7 wkts. C Ch 23rd Sept 1837 p 2. Mon/Tues. 18th /19th Sept. Peterborough v French Drove Union (comprising 5 different clubs) return. French Drove won. “…strange, in consequence of the decided superiority of the Peterborough gents., compared with most other players…” “..the style of all [the Peterborough players] was good, though unfortunate; we can only attribute their loss to the inferior bowling of their opponents…” Mr Garratt of Peterborough has declined to play for All England v Sussex in order to play in this match. C Ch 16th Sept. 1837 p 2. Mon./Tues 18th/19th Sept. March, March v Cambridge Castle return. March 57 (Glasscock 21, Fenner 3+ wkts, Pryor 5+ wkts) & 18 (Fenner 3+ wkts, Pryor 3+ wkts); Castle 206 (J Hall 24, Fenner 66, Haggis 26, Pryor 20, Johnson 25). Castle won by an innings and 131 runs. C Ch & CIP 23rd Sept, p 4/?. Tues. 19th Sept. Ely, Ely CC v Southery CC. Southery won by an innings and 9 runs. C I P 23rd Sept. 1837 p 3. 23rd Sept. Thorney Abbey Victoria CC challenged “any eleven of the French Drove Union (Bemrose and Edwards given from the Spalding Club) for 50l. ––a single match. The money to be deposited in the hands of Mr Laxton, Duke’s Head Inn, Thorney, a week previous to the match taking place…” C I P 23rd Sept. 1837, p 8. Wed. 27th Sept. Borough Green, Borough Green v West Wratting. West Wratting won by 9 wkts. After-match dinner prepared by Mr Lacey of Borough Green. CIP 30th Sept. 1837, p 4. Fri 29th Sept. Southery v Ely return. Notice only. C I P 23rd Sept. 1837 p 3. Fenner played for CU 2nd XI. Haygarth Vol 2 p 397. C Ch 16th Sept, Haygarth Vol II p 2/432.